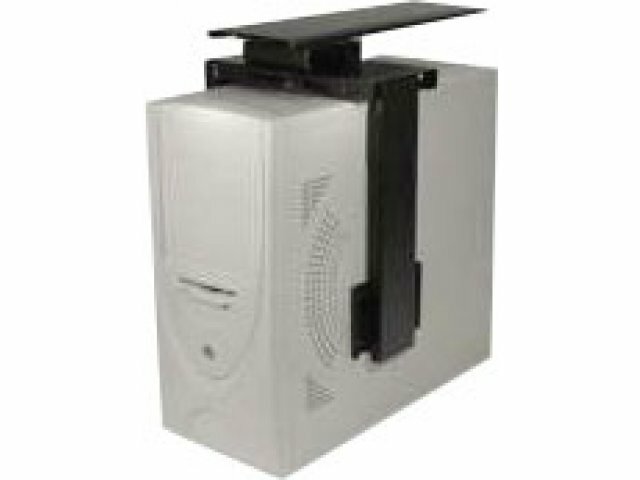 Store your CPU neatly and securely with this Deluxe Retractable CPU Holder from Systematix. It gives you easy access to all sides of your CPU while keeping it locked in place. The Deluxe Retractable CPU holder stores your CPU below your work surface, protecting it from contaminants like cleaners, and saving you valuable workspace. It clamps the CPU tightly in position to keep it safe and secure from bumps and falls. The 18" track gives a generous in/out adjustment range, and the 360-degree swivel lets you access the back panel effortlessly. The adjustable feature lets the Deluxe Retractable CPU holder fit most CPU sizes, and the holder has a weight capacity of 50 pounds. The all metal construction ensures extra durability, and the unobtrusive black finish lets it blend into your desk setup. So get your CPU off the floor - or your desk - and into this Deluxe Retractable CPU Holder. You'll be pleasantly surprised at the difference it will make. Secure Storage: The Deluxe Retractable CPU Holder stores the CPU below the work surface, keeping it away from contaminants like cleaners, and saving on workspace. In/Out Adjustment Range: The generous track length provides an adjustment range of 13 inches. 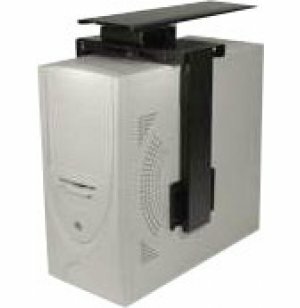 Easy CPU Access: 360 degree swivel allows easy access to the back panel. Highly Compatible: Adjustment feature lets this CPU holder fit most CPU sizes. No-Tools Adjustment: Adjust with ease according to your needs - no tools required. Leaves the factory in approximately 2-8 business days.